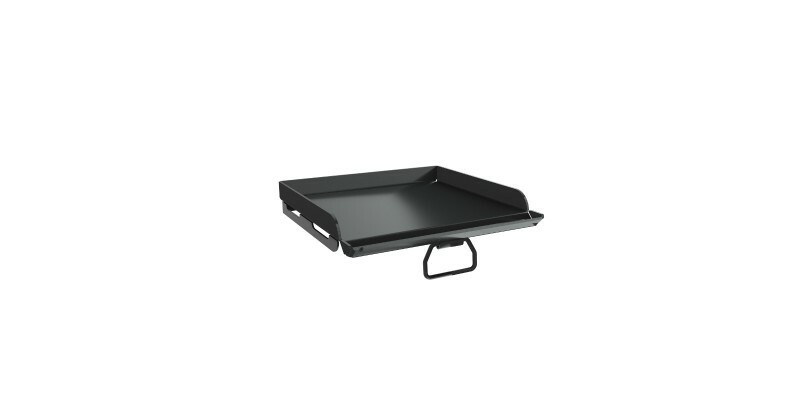 Use this restaurant style griddle on top of your Camp Chef 14" stove, and you'll be looking at some mighty fine food. 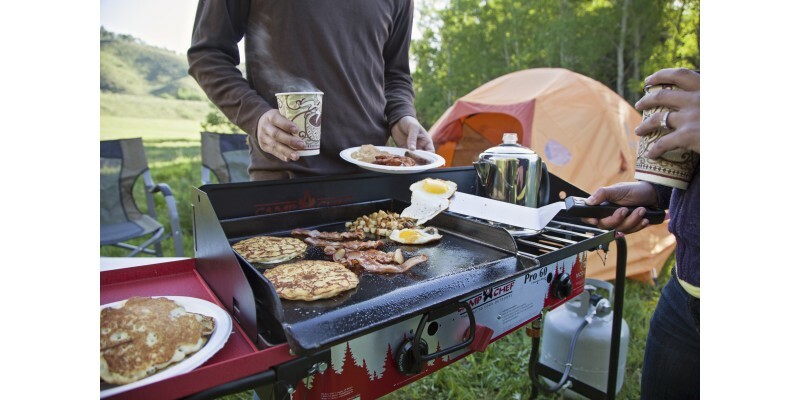 What’s camping without a hot breakfast in the morning? 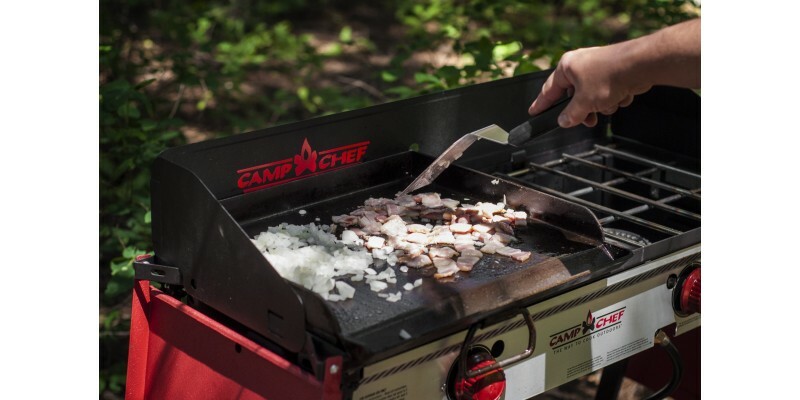 Cook up delicious eggs and bacon with the 14 x 16-inch Professional Fry Griddle from Camp Chef. 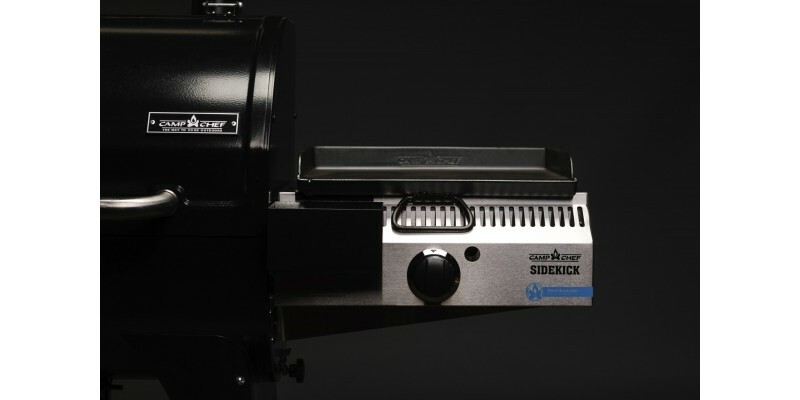 This griddle gives you restaurant style high sides, a convenient grease drain, and a heat skirt to ensure equal heat distribution. 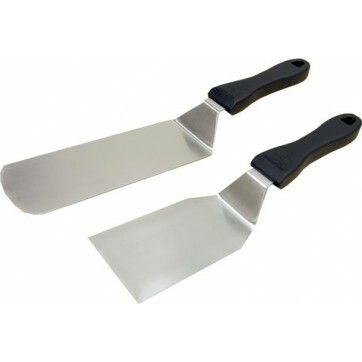 The steel surface comes pre-seasoned, so it’s ready to use as soon you buy it. Get out there and start cooking. 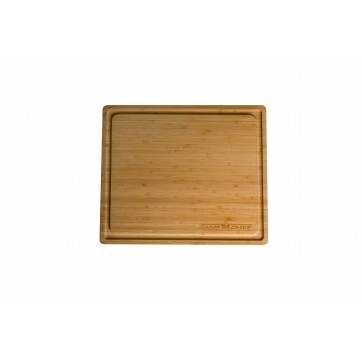 Professional 14" x 16" Fry Griddle is rated 3.6 out of 5 by 5. 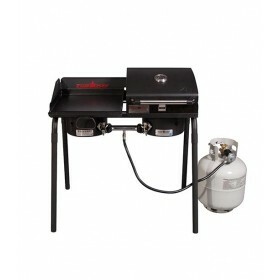 Rated 3 out of 5 by Anonymous from WRONG SIZE FOR MY 2 BURNER 18"x16" would be a better fit for my 2 burner. That size would allow the grease though in the front to over hang enough to use the collection system and still be large enough to cover the depth of the entire cooking surface allowing for symetrical heating. As is, much of the heat comes up behind the griddle. 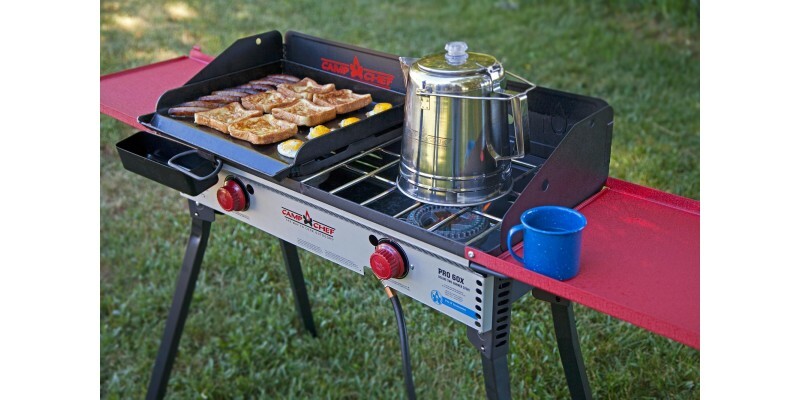 I did call Camp Chef before the purchase and was assured it would fit my model. Rated 5 out of 5 by Anonymous from Great for breakfast Great for breakfast. 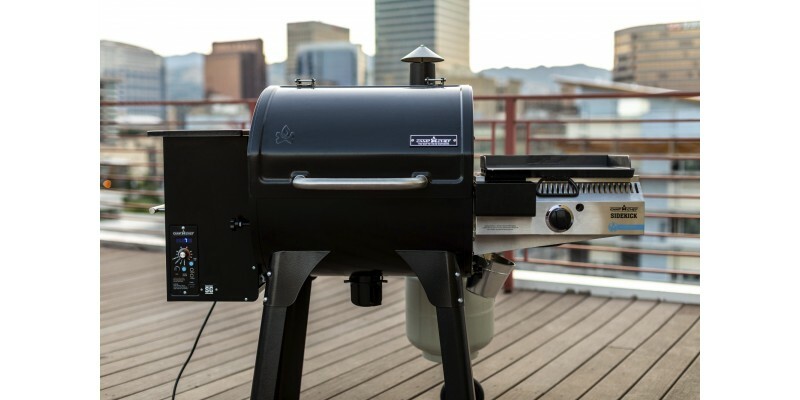 Heats up quickly and evenly. 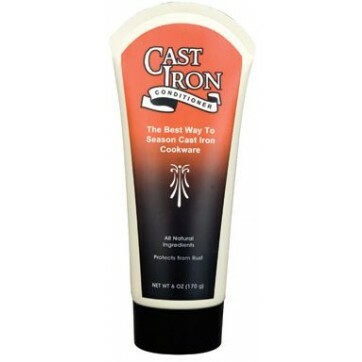 Even though it is pre-seasoned, I would suggest that you spend some time at home getting a real good seasoning on it. Rated 1 out of 5 by they call me "cookie" from Measurements Inconsistent I only give it a one star because it didn't fit my needs, and the measurements are misleading in comparison to the other griddle measurements. 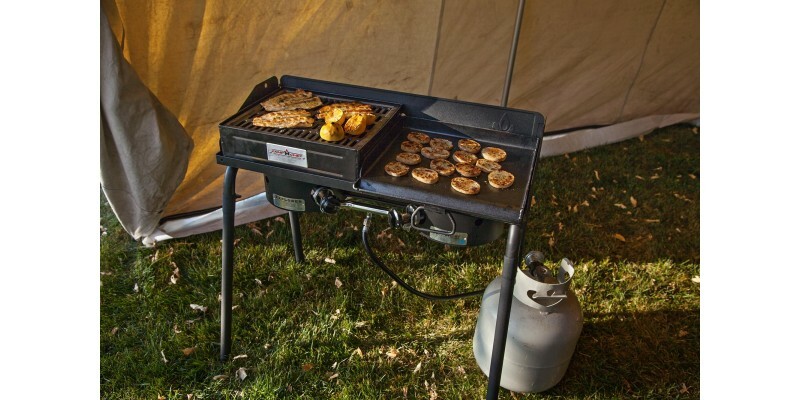 I have an expedition 3x with a 2 burner griddle and a 1 burner griddle to give me maximum griddle area while leaving me access to the burners if I need one or two while Im "griddling". I have the 14x16 (WxL)single burner griddle and when using it side by side with the 2 burner griddle there is at least another inch of space between them. When helping my mom order this same rig for my dad this christmas, I told her to order the 15x16 and it should fit like a glove. 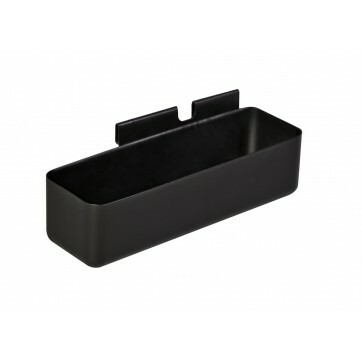 We placed the order and received the order without any problems. We were setting it all up on christmas eve and find the 15x16 griddle to be too wide. We slapped a tape measure on the griddle and found it to by 16 wide x 15 deep. 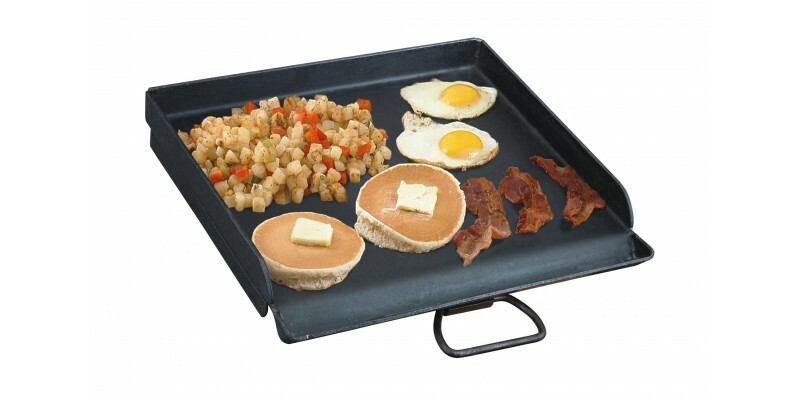 The measurements on the box and on the web are inconsistent with the measurements of the other griddles. 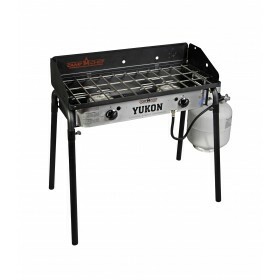 Recommendation to outdoorcooking is to put some real specs in the descriptions to include some LxW or WxL labeling. 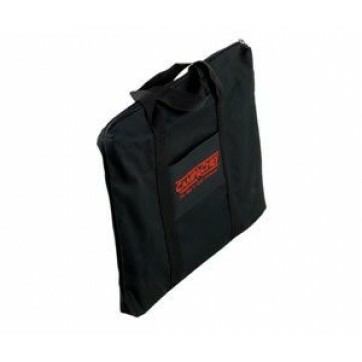 Accual measurements for this product is 15 3/4 inches wide by 15 inches deep. I know this product description says it will not fit the tb90 but figuring I have one already and knowing it has a fat inch of space that could be filled with griddle and working with the specs provided it should have been perfect, but no. I am currently waiting for the holidays to be over so I and get in touch with the OC staff to get a return auth. number. 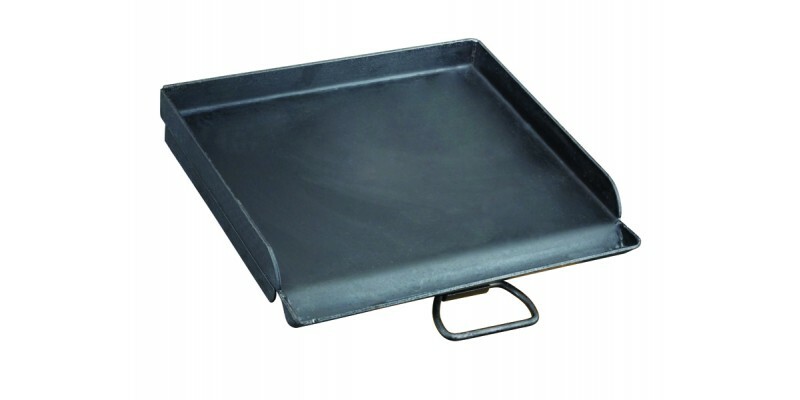 In the mean time I have ordered the correct size griddle along with a cover to make up for the OOPS on christmas day.